Does it appear to you that your child tends to forget everything you say, or maybe they ignore everything you say? Isn’t it amazing how if you have three children they are all so different in their temperament and personality? One cries when you simply look firm at them, another cries when you discipline them, and the third – well, they never cry and seem to defy your authority. We call them the strong-willed child. When energy was given out, does it seem as though your child got an extra portion? Does the word NO not compute in your child’s mind? Does it appear that your child will one day be the captain of the debate team? Does your child resent such things as bedtime and meal times? When you look up the word persistent in the dictionary, is there a picture of your child there? Does it appear that your child intentionally attempts to annoy people? Does the thought of going shopping with your child cause you to wake up during the night in a cold sweat? If you answered yes to more than half of these questions, congratulations! You have a spirited, strong-willed child. 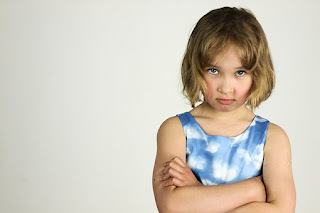 How can you help guide the strong-willed child? Maybe a good way to begin is by letting you know what your child is really saying. The strong-willed child is not easy to train up in the way he should go, but when done so successfully, this child will develop into a great servant for God and that is your goal, isn’t it? So I challenge you, don’t quit. Stick by the stuff. One day it will be worth it all. ✞ Let others see Jesus in you, not just in life but in death as well.